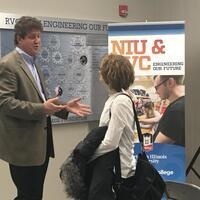 Learn more about NIU's B.S. in Mechanical Engineering offered at Rock Valley College, including admissions, course and financial aid details. Feature presentation: internships.